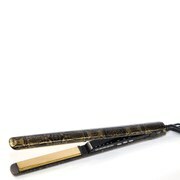 Achieve salon-style results in next to no time with the Glamoriser Detangle Straightener, an innovative multi-tasking tool that takes the hard work out of hairstyling. 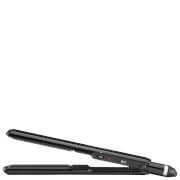 It features curved ceramic plates with integrated heated combs, which work to detangle and smoothen hair whilst straightening to leave you with poker-straight, knot-free locks. Infused with Black Diamond Oil to combat frizz and boost shine; the ceramic plates easily glide through hair without snagging or clumping. It features an ultra-fast 15-second heat up time and six variable heat settings from 130°C to 230°C, meaning you can adjust styling to suit varied hair types and minimise damage by limiting the heat exposure to preserve hair’s natural hydration levels. 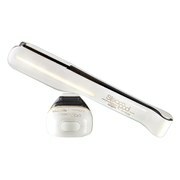 Achieve ultra-smooth and tamed locks with a healthy-looking shine.